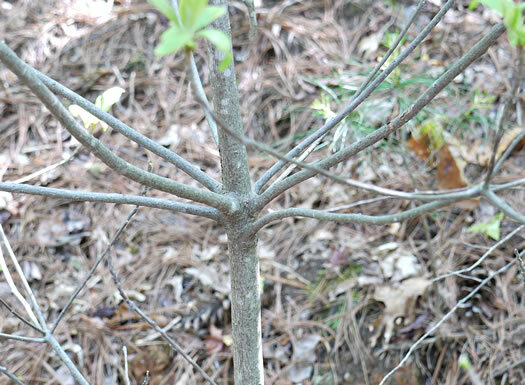 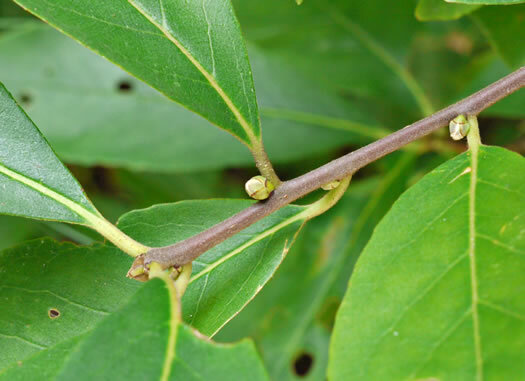 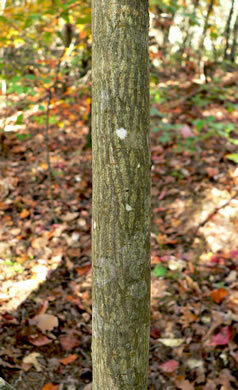 Terminal bud present, larger than laterals, somewhat conical, per Woody Plants of the Southeastern US: A Winter Guide. 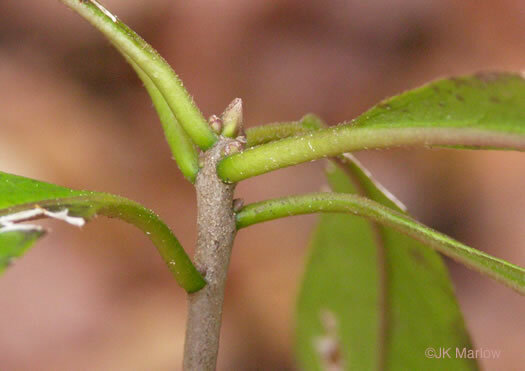 Showy tuft-like flower clusters in leaf axils of previous year's branches, per Forest Plants of the Southeast and Their Wildlife Uses. 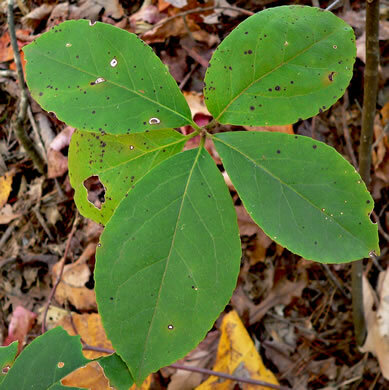 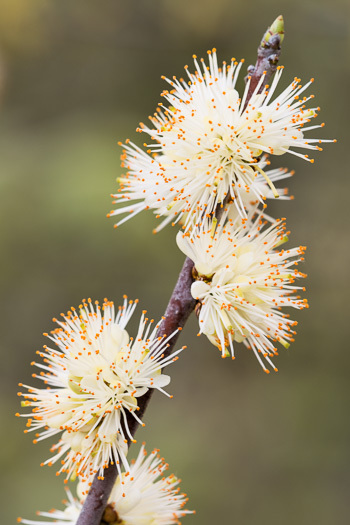 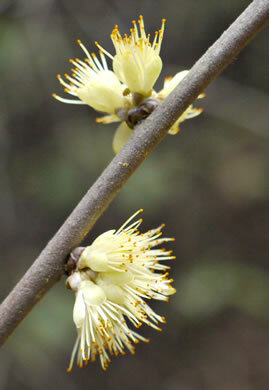 Tardily deciduous, per Native Trees of the Southeast, An Identification Guide. 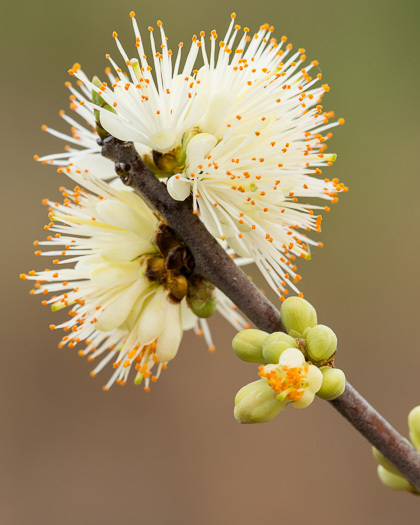 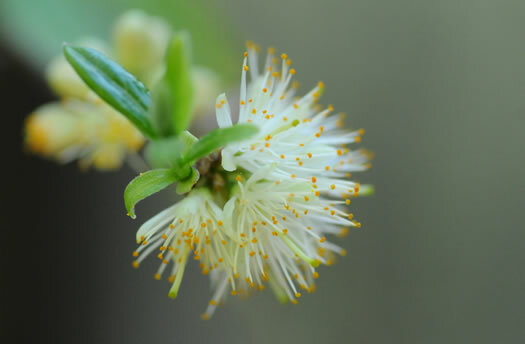 Each flower has 5 light yellow petals 6-8mm long, many light yellow stamens, per Forest Plants of the Southeast and Their Wildlife Uses. 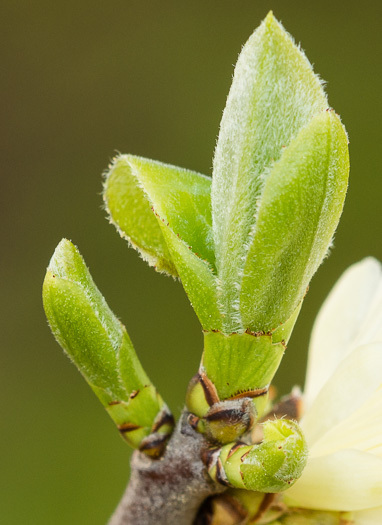 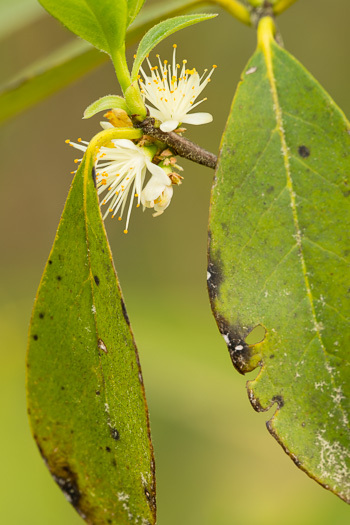 Conspicuous when in flower, flowers opening before new leaves, per Trees of the Southeastern United States. 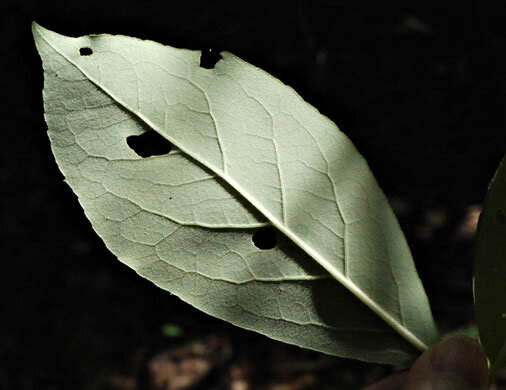 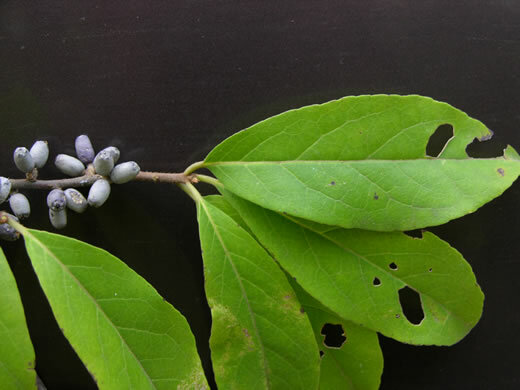 Leaves finely hairy beneath, per Trees of the Southeastern United States. 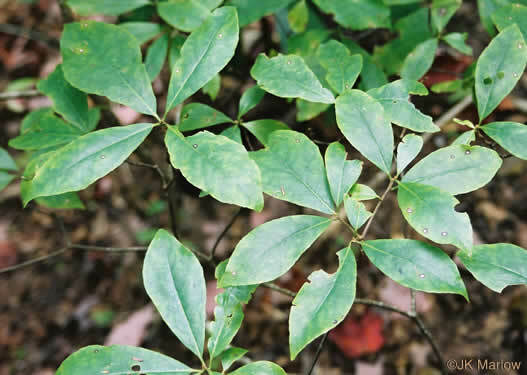 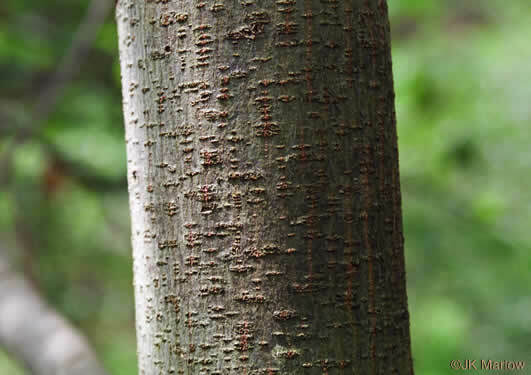 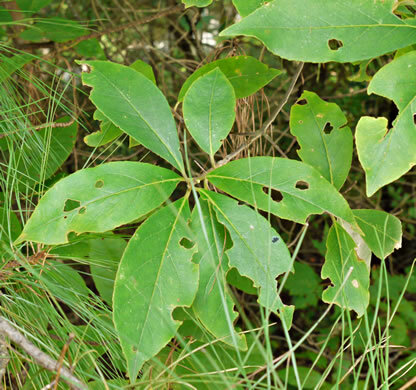 Mostly evergreen with thick, leathery leaf blades, per Native Shrubs and Woody Vines of the Southeast. 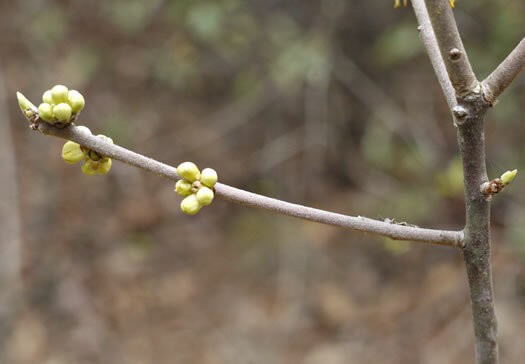 Fruit is an oblong drupe, pelletlike, purplish after maturity, per Woody Plants of the Southeastern US: A Winter Guide. 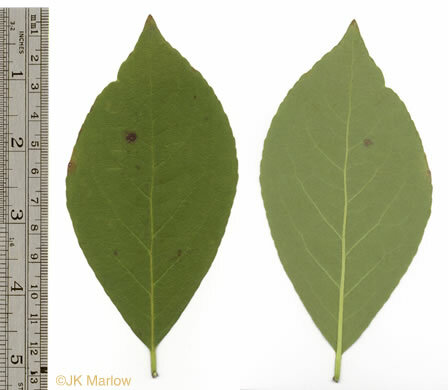 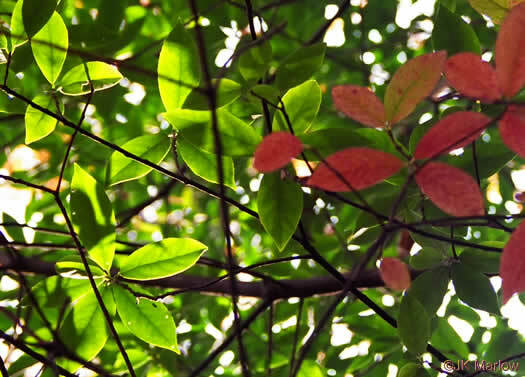 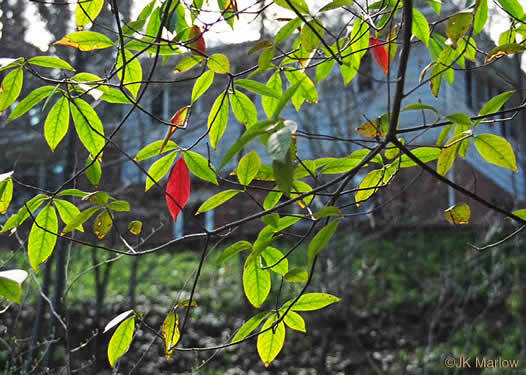 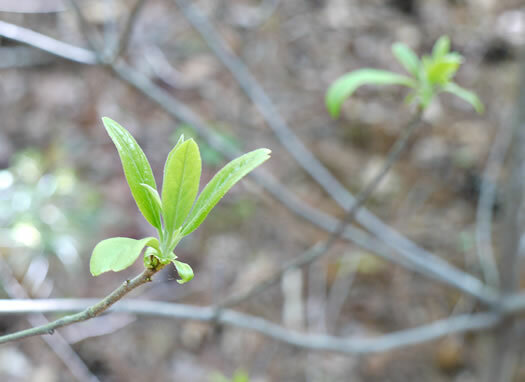 Leaves somewhat sweet, but variable plant to plant/season to season, per Weakley's Flora.